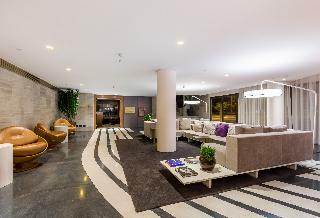 Located 1.2 miles from the Jardim OceÃ¢nico metro station and 15.5 miles from Santos Dumont Airport, the ibis RJ Barra da Tijuca hotel offers modern and comprehensive facilities to ensure your comfort and well-being, featuring rooms with an extra bed for children up to the age of 12, A/C, free WIFI, a restaurant, bar and parking. Rooms with ocean views are available for those looking for a view of Barra da Tijuca Beach and guests can also enjoy regional cuisine in our Kitchen Pasta & Grill restaurant. 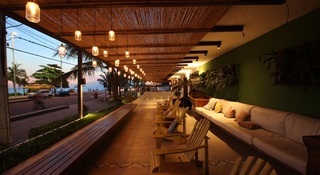 This hotel is set overlooking Pepes Beach, in Barra de Tijuca. 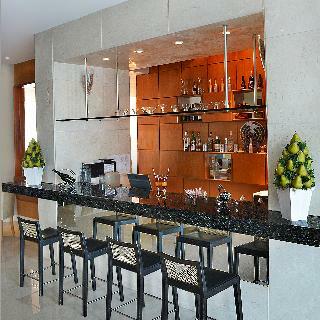 Set amidst one of Rio de Janeiro's most modern areas, the hotel is surrounded by bars and pubs. Shopping opportunities can be found just a short driving distance away. Links to the public transport network are just a 5 minutes' walking distance away from the hotel, offering ease of access to many of the city's most prominent sights. This hotel features a modern design. The spacious guest rooms provide serenity and relaxation, seemingly miles away from the bustling city that lies just outside. 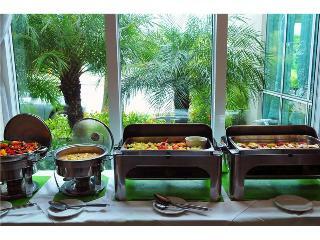 Guests are invited to savour the delights of international dishes in the restaurant. 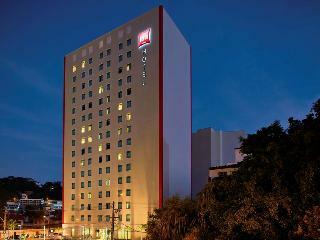 This hotel is a prime choice for business and leisure travellers visiting Rio de Janeiro. Cliffside is a luxury rental property and one-solution hospitality service; offering unique accommodations and tailored experiencesBuilt in 1968 by world famous architect Zanine Caldas, the Cliffside estate sits on an ocean-front cliff. Considered an architectural sculpture, Zanine focused his design to offer unlimited views of the sea and horizon without visual obstruction, fully integrated with nature.Travel without leaving the city and discover this secret paradise only 5 minutes away from civilization. Situated in a privileged point of Barra da Tijuca only 300 m of the best and biggest beach in Rio de Janeiro and near of wonderful restaurants, entertainment and business centers ; is particularly attractive to people who travel for work or leisure.In a place surrounded of comfort and welfare with an individual and special treatment you can enjoy a perfect stay.The hotel has 64 spacious and comfortable rooms spread over 3 floors, all equipped with:cable tv, minibar, air conditioning, safe, hairdryer and wireless system.For the convenience of our guests we offer room service until 22h30min, laundry and parking. This lovely hotel is situated in Barra da Tijuca. The total number of units is 223. Gaivota Rio Hotel is not a pet-friendly establishment. 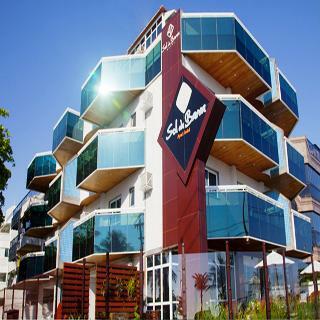 Set in Barra da Tijuca´s district in Rio de Janeiro, Hotel Serra is located 300 m from Barra da Tijuca´s Beach and 2 km from Jardim Oceânico subway station. Free WiFi is available in all public areas. Guests can enjoy their on-site restaurant and bar.Each room at this hotel is air conditioned and features a flat-screen TV, a minibar and a desk. Fitted with a private bathroom, the room also offers free toiletries and a hair dryer.There is a 24-hour front desk at the property. Free private parking is also available.Joatinga beach is 3.6 km from Hotel Serramar, while Tijuca´s National Park is 13 km away. The nearest airport is Santos Dumont Airport, 20 km from the property. Located opposite the beach Pepe, the best point of Barra da Tijuca, this hotel offers the comfort needed for your leisure or business trip to Rio de Janeiro. The property is close to major shopping centers and entrepreneurial city. Barra da Tijuca is the longest beach of Rio de Janeiro, with 18 miles of clean and tropical water that makes it one of the most well-frequented beaches. The beach Pepe is known to be the point of sports, the most cool people and many celebrities. The restaurant are decorated with local art, guests also taste the delicious international cuisine, while admiring panoramic sea views. Located in front of Barra da Tijuca Beach, in Rio de Janeiro with several bars and restaurants in the vibrant Baixa Barra District, which is only 200 metres away, Rio de Janeiro Centre can be reached within a 20-minute drive and Santos Dumont Airport is 30 km and Barra Shopping Centre is only 7 km away. This hotel offers air-conditioned rooms, a sun terrace and sauna to enjoy every moment visitors spend on the establishment. With this and more amenities such as Free WiFi and a daily buffet breakfast to delight your palate, which features a selection of tropical fruits and breads, the hotel is the perfect place to stay. LSH Hotel is just a short walk from Barra da Tijuca Beach in beautiful Rio de Janeiro. It is located next to the Plaza de O and close to the main shopping centers and restaurants in the area. It boasts elegant and contemporary interiors and offers comfortable and spacious facilities, including flexible meeting and event space, onsite parking and a splendid infinity pool. The pet-friendly guestrooms provide plenty of space and feature tasteful decor. This apartment hotel is situated in Rio de Janeiro. The hotel is situated just 1 km away from Barra da Tijuca Beach, one of the most beautiful beaches in the area. Sitting next to one of the largest shopping centres in Latin America, the hotel offers the ideal setting for those who like to indulge in retail therapy. 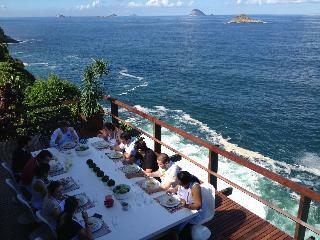 The hotel is located just a short driving distance away from Angra Dos Reis beach, Copacabana and Pao de Acucar. The tourist centre and city centre of Rio de Janeiro can be found just 45 km away. This hotel appeals to business and leisure travellers alike. The apartments are superbly equipped with modern amenities, meeting the needs of every type of traveller. 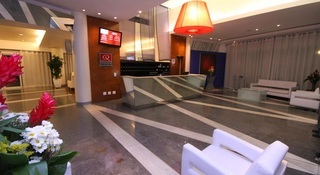 The hotel features a business centre and 2 meeting rooms, perfect for those travelling for work purposes. 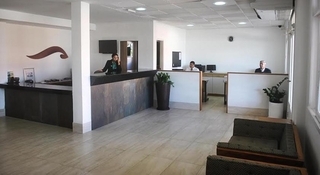 The hotel also features a variety of leisure and dining facilities and services.